Let’s now continue down memory lane, as it applies to Planet Hulk, with the issues that produced my favorite pages from the series – 102 and 103. Danny Miki was forced to bail out for most of these issues (if not all….memory failing) because of his always packed schedule. 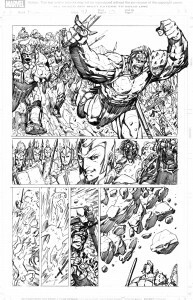 So Sandu Florea jumped in and did an admirable job on the inks. Of course, I will only be showing you my pencils here so I guess the inks are somewhat irrelevant to this blog. Blah, blah, blah….and away we go! The battle with the Red King was epic and here is the real start to it. 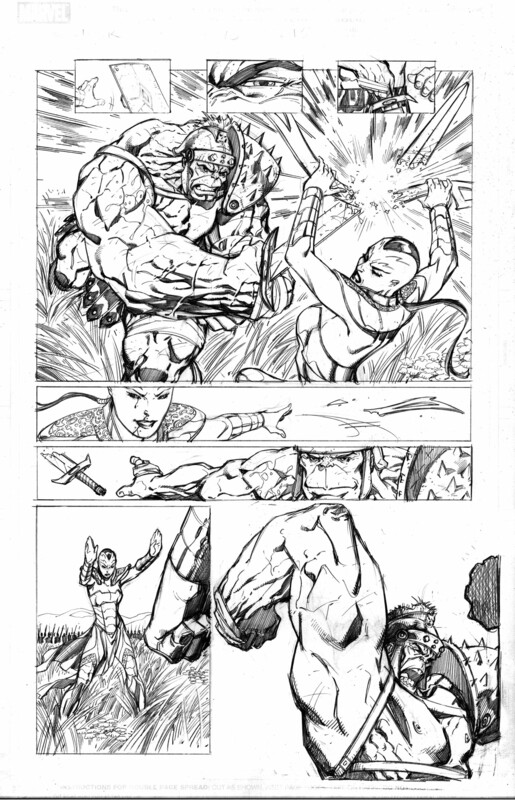 This is page 5 from issue #102. This is one of the pages I actually kept because I like how it turned out so much. 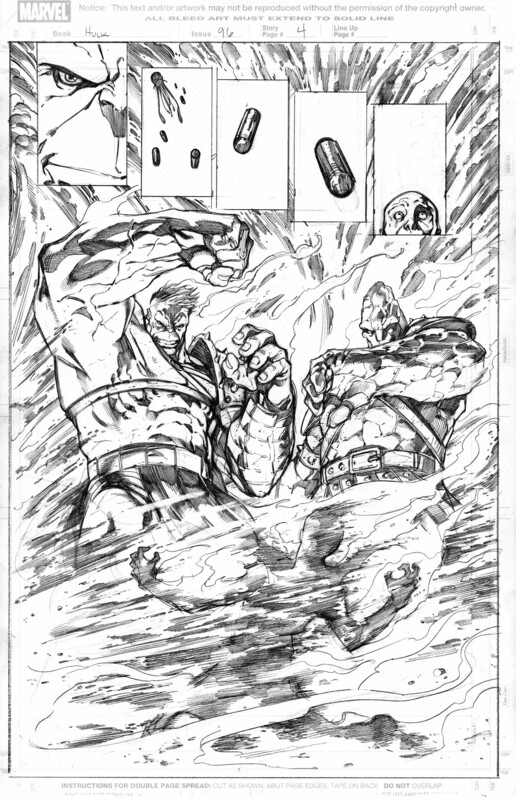 It is always tough to put together a great splash page with two characters fighting that shows enough of both characters to be satisfying. 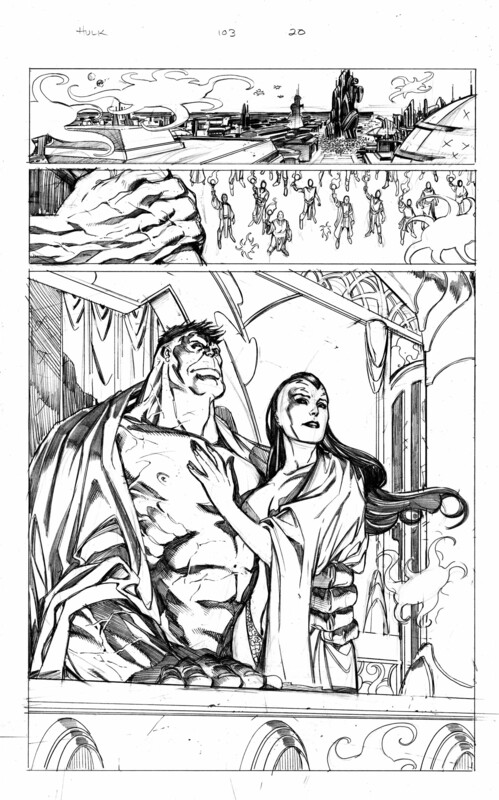 This is page 8 from issue #102. There were several more splash pages and good battle pages from the fight with the Red King in this issue but the last two pages are probably my favorite from the series. 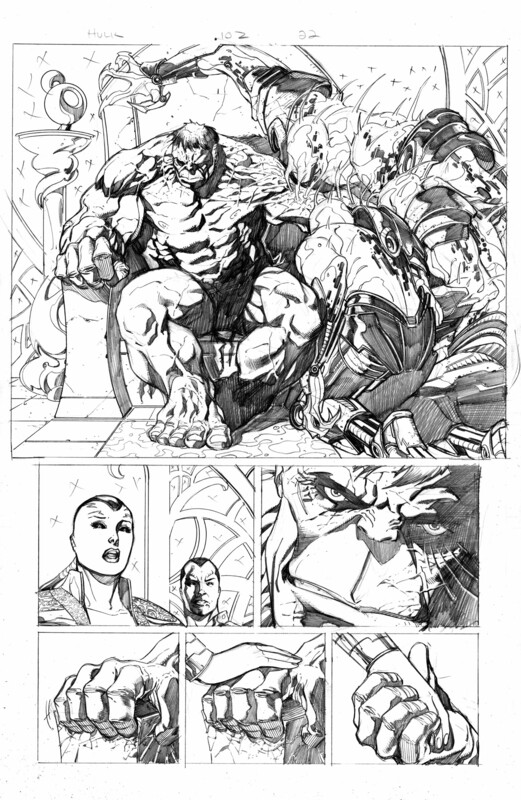 Here in quite noble fashion, the newly crowned Hulk king strikes a deal with the spore people so they can feed on his blood thus sparing the people of his kingdom. This is page 22 from issue #102. 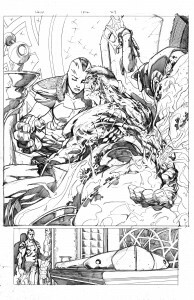 The last page of issue #102 features a great moment of intimacy between the Hulk and soon to be queen Caiera as the spore people continue to feed like vampires on the Hulk’s arm. 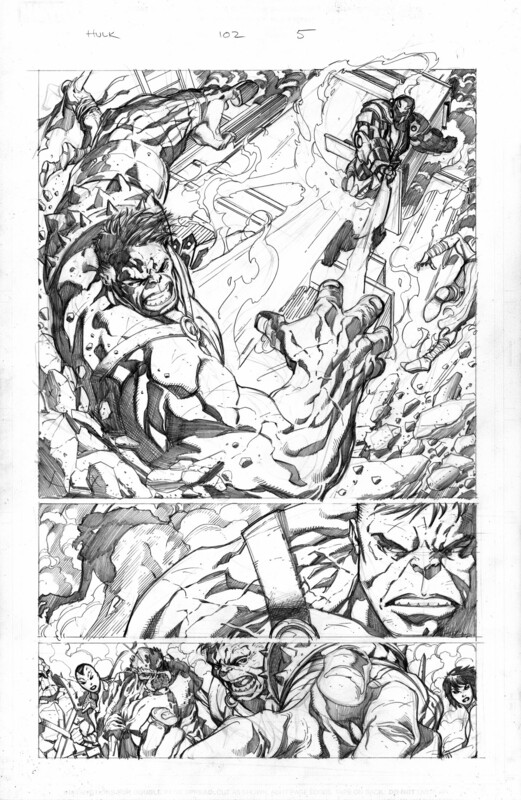 Hulk smash….again. 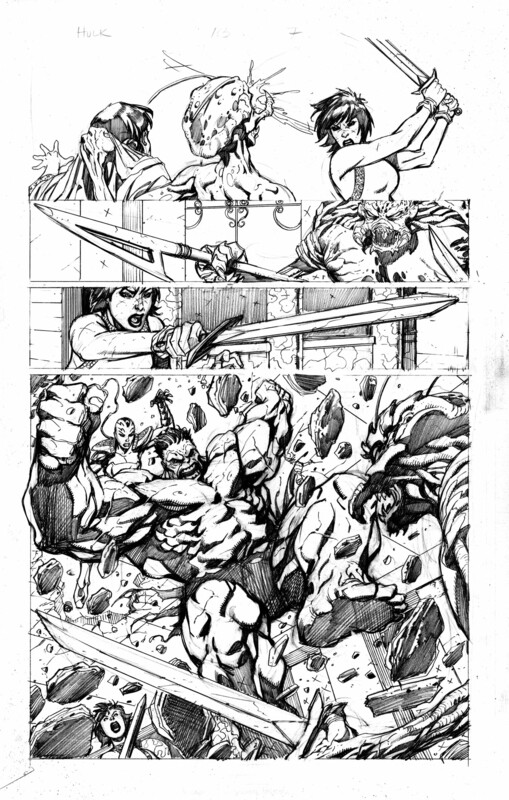 This is page 7 from issue #103. This is the three page sequence from issue #103 that shows the beginning of the wedding night and the Hulk revealing is alter ego, Banner, to Caiera. Nicely written by Greg Pak. Who says the Hulk isn’t romantic. 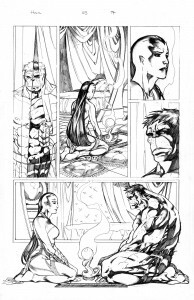 Page 20 of issue #103 shows the Hulk and Caiera watching the fireworks after the…um fireworks. Well, there you have it. 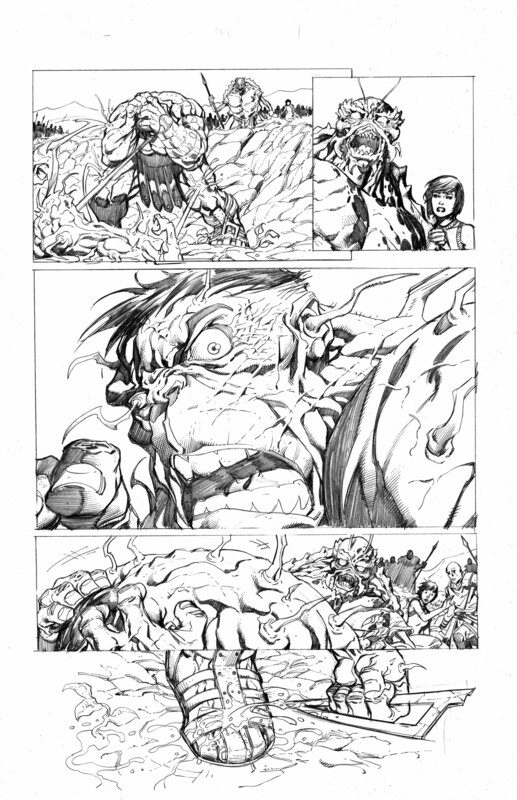 A few memorable pages from my hopefully memorable run on Planet Hulk. It is very rare you get to work on a project that could be referred to as “seminal” or “classic” but I think this may be the one for me. There is always hope for the future but this is one of the projects that will definitely define my past. 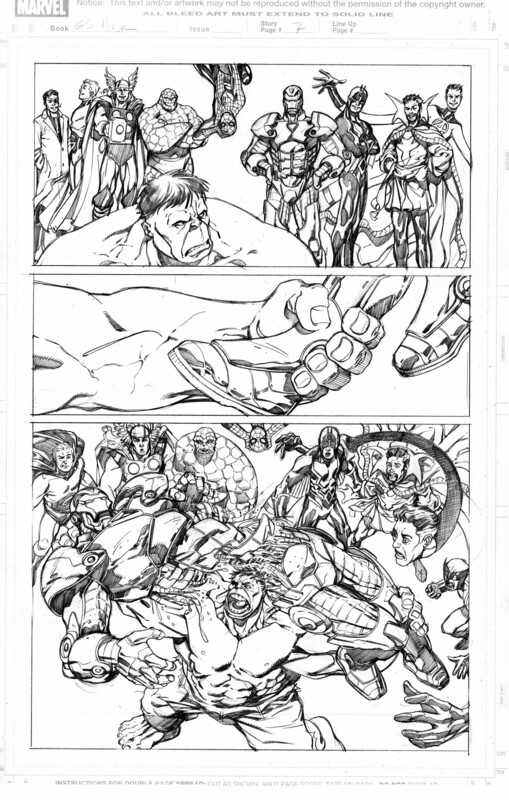 It seems like a life time ago that I worked on the Planet Hulk story line but it is the gift that keeps on giving. Even 7(or so) years later it is still a top selling trade paperback. There is even talk of Marvel making it into a live action flick. 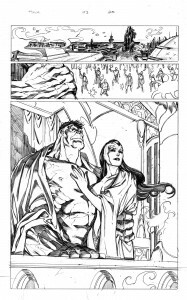 An Incredibly well-written story by Greg Pak made this a real joy to work on. 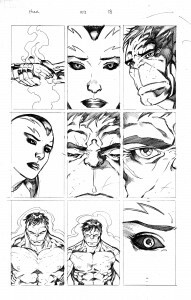 Admittedly, I only drew 6 issues of the 14 issue storyline (plus the prologue which appeared in Giant Size Hulk) with Carlo Pagulayan doing the lions share of the design work and the other 8 issues. But even though Marvel for some reason left me off the credits list on the animated movie (something that I must rectify) I feel I contributed significantly to the project. Now I will prove it by showing some of my favorite pages from the series. 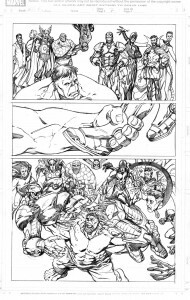 This is actually page 7 from the Prologue story called “Banner War” which appeared in Giant Size Hulk. 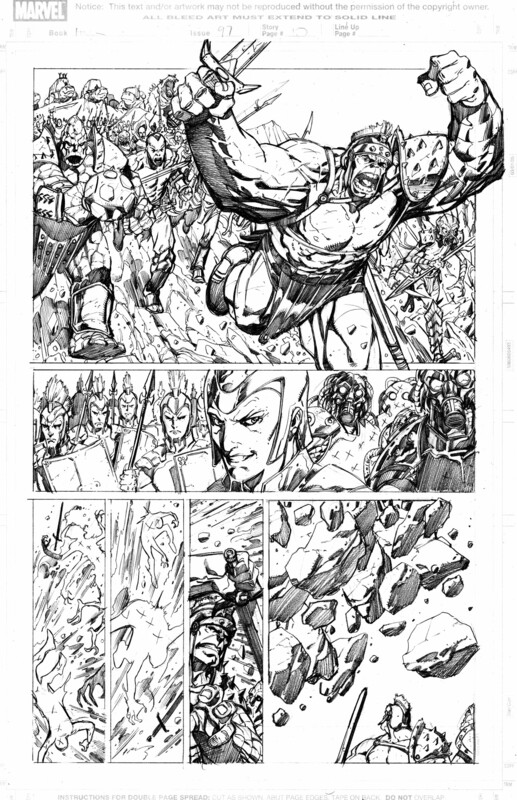 Danny Miki eventually did the inks on this page (this is just my pencils, of course). 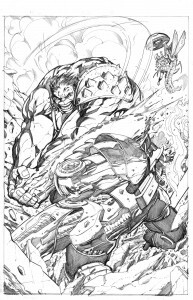 Who doesn’t love the Hulk ripping Iron Man in half? This is page 8 from the same story. 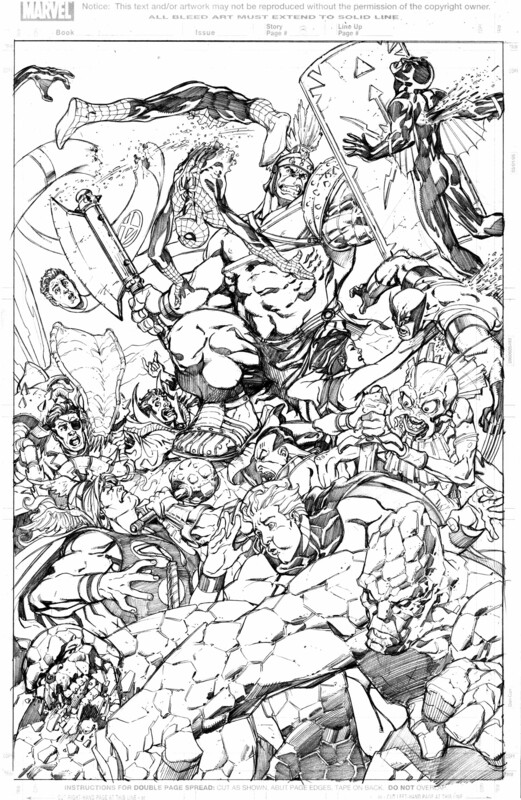 The Hulk and the rest of the Planet Hulk gang battling the Marvel Universe. As an artist, you don’t get opportunities like this very often. 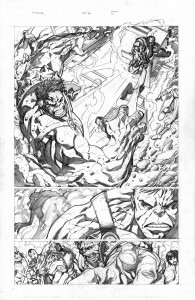 This is from Incredible Hulk #96 page 4 ( my first issue on the storyline). 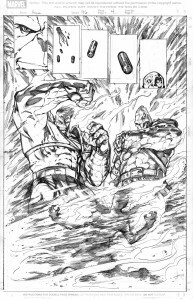 This is a nice page of the Hulk and Korg (one of the Stone Men from Saturn who fought Thor back in JIM #83) watching a bad guy get fried in an explosion. One of the easiest things to write is “hundreds of soldiers run down a hill and engage in battle with hundreds of enemy soldiers”. Not so easy to draw. It took some time and that’s why I love this page. This is issue #97 page 10. There were some epic splash pages in this issue with Hulk fighting Meek and Hulk vs. Caiera but I kind of like this panel page of Hulk and Caiera. It has a nice flow and balance to it. Issue #98 page 13. Perhaps my favorite page from the entire story. 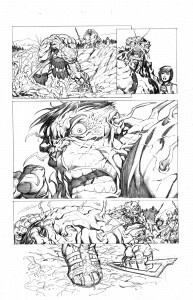 Hulk gets infected with the deadly spores! The horror! Issue #99 page 4. That’s all for this post. Next time we will explore the epic issues #102 and #103! Hulk Smash, baby! Send this to your friends on Facebook. 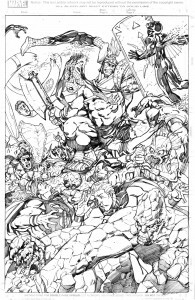 Damage #14 King Kong Cover! All content © 2019 Aaron Lopresti. All rights reserved. We are currently buliding a more sophisticated ordering system but until that time, please just email us directly for product availability and shipping costs. At present we only take paypal, money orders, and checks. Personal checks must wait 7-10 days to clear before item is shipped. Thanks for your patience.